The perfect go to jogger for this season. 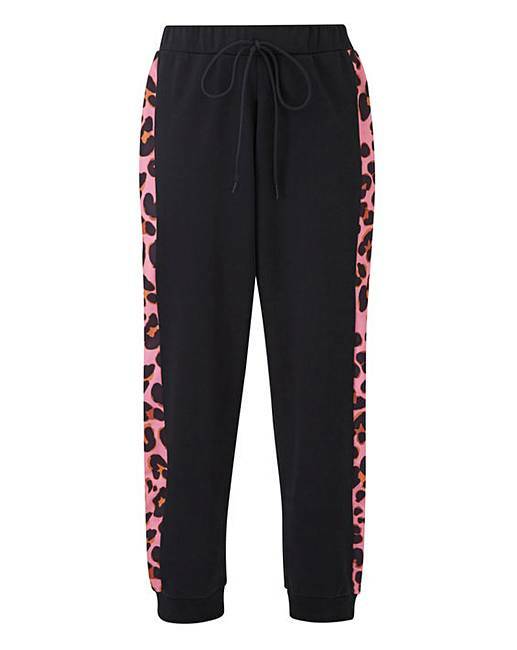 Add a pop of animal print to your wardrobe with these comfortable joggers. 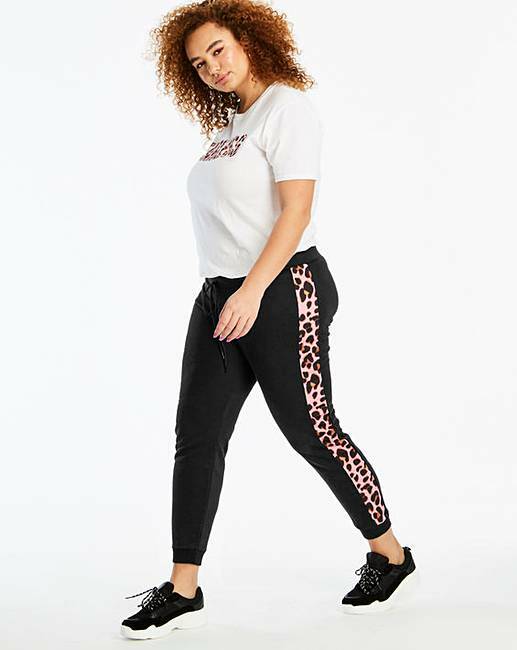 These look fabulous paired with our new slogan tee (DR859) or a perfect match as a co-ord with our new sweatshirt (DR860). In a loop back jersey stretch fabric, this is a perfect addition to your wardrobe whilst being comfortable. Finish off your look with chunky trainers (NR164). 30% of the purchase price will be donated to Breast Cancer Now, a working name of Breast Cancer Care and Breast Cancer Now, a registered charity (Nos 1160558, SC045584 and 1200). Fashion Targets Breast Cancer is Licensed by the Council of Fashion Designers of America, Inc./CFDA Foundation, Inc., U.S.A. Worn Length to fit 29in/74cm.